Here we are - another year, another set of challenges to achieve. Most of 2012 was taken up by my mundane job, which left little time for anything else. That was true even of the first day of the new year, when I had to work for 14 hours to get the old database server into a state where it could continue to function normally for the next month or two. The project that I have been working on since March of last year continues, although most of my work is completed and has been fully operational since November. This last arduous task represents the final (I hope) bit of maintenance required before the users can completely migrate over the new server architecture. Yes - Murphy (of Murphy’s Law fame) continues to have quite a good laugh at me, but incrementally, I am approaching the finish line. Once past this line, Murphy will have to find another technician upon which to burnish his sense of humor, since things will descend into the dull and predictable operational humdrum very soon. This also means that the much vaunted three weeks of vacation that I was to enjoy found me intermittently having to work on project related tasks instead of freely doing whatever I wanted to do. The time that I did have, I spent lavishly on my relationships and not so much on magick or occultism. I am hoping that things are going to be settling down at work and I will be given a period of respite to catch up on other things. I can imagine that my readers are getting pretty tired of me complaining about my mundane job as much as I am tired writing about it, but soon things will be back to normal, and I can then find some real magical mischief to fully engage my magical persona. My temple area has seen the greatest extent of neglect, since I haven’t worked any magick since completing the seventh and final planetary talisman. Things have been just too busy for me to even contemplate another magical project. I have made offerings of incense to the Gods and my ancestors, but not much beyond that. However, I have decided that the time is right to start picking up the threads of my magical practice and start engaging in some of the projects that I had to postpone. I also need to reconnect and align myself to my personal Deities and my pagan spirituality on a deeper and more profound level than what I have been doing in the last several months. In a perfect world, none of these kinds of interruptions would ever occur, and my occult and magical discipline would be seamless and without any breaks in concentration or effort. However, the real world requires me to change my priorities and focus my efforts on this or that project, whether of the mundane world or magical regardless of what I would like to do. It just so happens that my primary focus for the last several months has been my mundane job, which also happens to pay the mortgage and puts food on the table. As usual, I begin each year by putting together a list of things that I would like to accomplish. I might not succeed in completing all of the tasks, but if I can manage a few of them, then I consider that year to be successful. That list starts out containing the things that I didn’t get around to doing the previous year, if I consider them to be important and relevant. High on that list is my desire to complete the workings associated with what I have called the Portae Tenebris working, which is the opposite of the Portae Lucis. I have placed my seven talismans on my central altar protected by a veil with the intention of doing these sets of rituals, and then I found no time to actually perform them. The talismans are still sitting there where I last left them, waiting for me to engage with this magic. I have decided that even though the Winter Solstice has come and gone, we are still in the great period of winter darkness. I am planning on picking up the threads of this working in the next week or so, and thereby bring it to completion. Another pair of magical challenges are for me to invoke at least four of the spirits of the Theurgia-Goetia using the new ritual lore that I developed and wrote some time ago. I would also like to perform some invocations of the ha-Shem angels and some Goetic demons. I am hoping to achieve these workings between now and the end of April, when winter begins to recede from the northern Midwest. If I get to perform some of these workings, then I will have quite a bit to report about my experiences, and I will be able to say that the new ritual lore has been thoroughly vetted. 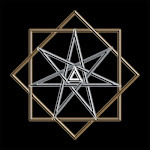 Since I have recently published my book “Magical Qabalah for Beginners” and have laid down an excellent regimen of practical work, I would like to assemble these rites and practice them as a regular part of my spiritual and magical discipline. While I have done most of these exercises at one point or another of my magical career, I have not put together a complete discipline, and I believe that such a regulated practice would really help add a greater depth and spiritual dimension to my magical and liturgical work. This month I will be giving a mini-workshop and hosting a book signing for my book, Magical Qabalah for Beginners at two local occult bookshops in the Twin Cities area. If you happen to live in this area or might (for some strange reason) be visiting at either of those times, I would welcome your attendance. The mini-workshop will cost the modest sum of $15, but the book signing will be free. Here are the times and dates for these two events. Eye of Horus bookstore - January 20, 2013. Mini-workshop - 11 am to 12 noon, book signing - 12 noon to 1 pm. Magus Books - January 27, 2013. Mini-workshop - 2 pm to 3 pm, book signing - 3 pm to 6 pm. Other things will be happening as well through the course of the next three months, and I will inform you about them in advance on this blog. One item I have to report is that due to some scheduling conflicts, I won’t be attending the Pantheacon convention this year. I will miss seeing some great friends that I have made there, and also miss out on promoting my new book, but that’s the way things turn out sometimes. I sincerely hope that the new year, 2013, will be one that is rewarding, successful, joyful and full of hope for you and your loved ones. At least the last two digits are interesting. I have always felt that as a witch, the number 13 was both lucky and auspicious. 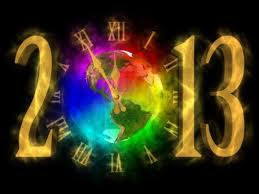 I start this new year with a bit of optimism and witchy anticipation.